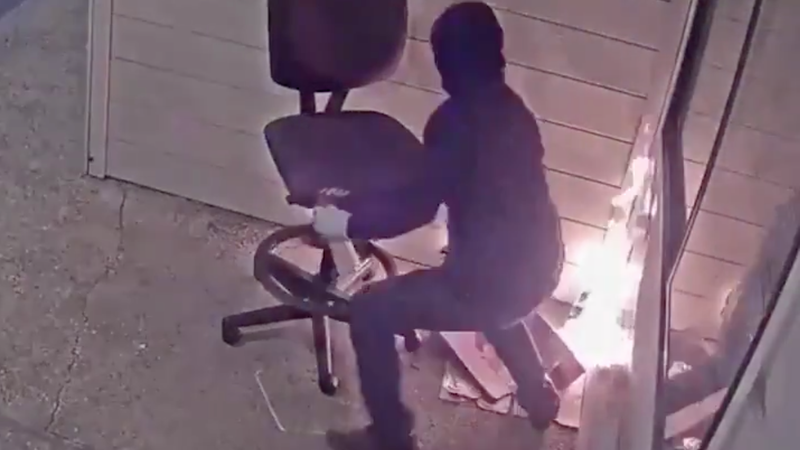 An arsonist was caught on camera setting fire to a California Planned Parenthood, and the FBI is offering a $10,000 reward for information leading to the suspect’s arrest. ABC News reports that the fire took place on July 20 around 4 AM at a Planned Parenthood in Watsonville, California, a city just southeast of Santa Cruz. According to police, the building was moderately damaged. Nobody was hurt. While the overall rate of vandalism against abortion providers has declined, research conducted by the National Abortion Federation indicates that there has been an uptick in coordinated activities by anti-abortion activists to disrupt services and intimidate staff and clientele. These activities range from blockades and trespassing to brick throwing campaigns. Acts of trespassing increased from 247 in 2016 to 823 in 2017, instances of obstruction tripled to 1,704 and threats of death or other harm nearly doubled to 62. Emboldened is one way of putting it. In February, a man crashed a stolen truck into a New Jersey Planned Parenthood. Three people, including a pregnant woman, were injured; the suspect is facing terrorism charges. With attacks from both the Trump administration and anti-abortion menaces, Planned Parenthood and other abortion providers are certainly bracing themselves for rougher waters ahead.